USB Kit, 1D Laser, Cordless, Fuzzy Logic. Includes Charging and Communications Cradle, 7' straight USB cable, Power supply, and Line Cord. USB International Kit, 1D Laser, Cordless, Fuzzy Logic. Includes Charging and Communications Cradle, USB cable, Power supply. Requires country-specific line cord. See accessories. USB Kit, 1D Laser, Cordless, Fuzzy Logic. Includes Charging and Communications Cradle and USB cable. Requires power supply and line cord. See accessories. RS-232 Kit, 1D Laser, Cordless, Fuzzy Logic. Includes Charging and Communications Cradle, RS-232 cable, Power supply, and Line Cord. RS-232 International Kit, 1D Laser, Cordless, Fuzzy Logic. Includes Charging and Communications Cradle, RS-232 cable, and Power supply. Requires country-specific line cord. See accessories. USB Kit, 1D Laser, Cordless, Fuzzy Logic. Includes Charging and Communications Cradle, USB cable, Power supply, and Line Cord. SCANNER ONLY, 1D Laser, Cordless, Fuzzy Logic. Cables and accessories must be purchased separately. For the full kit purchase (Part# LS3578-FZBU0100UR). 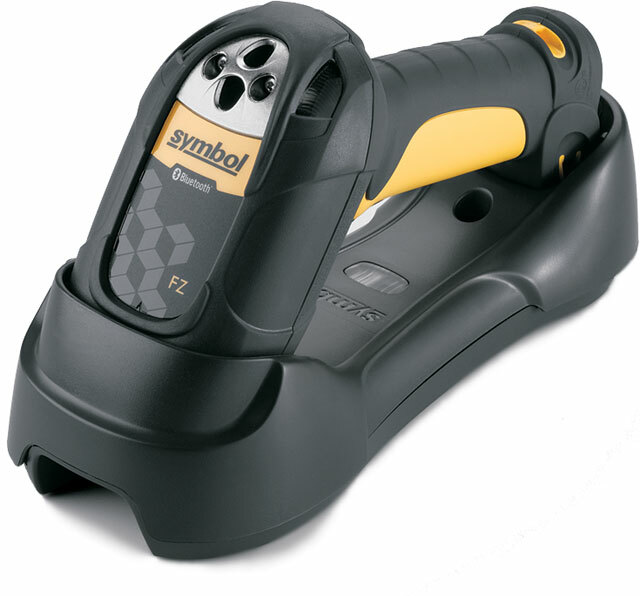 The LS3578-FZ is an extremely rugged, cordless laser scanner designed for warehouses, production floors, and outdoor use. You can actually use this scanner as a hammer with no problems to it! The FZ version has an aggressive scan engine that excels at ready poorly printed and damaged codes. Where other scanners fail at reading the LS3578-FZ keeps on going. Likewise, the Bluetooth capability of the scanner means no cable clutter, which keeps workers safe in busy environments. You won’t see the LS3578-FZ at the check-out counter, but for any physically demanding environments that need scanning it is a guaranteed success. These items are amazing scanners they have a good signal range as wireless great battery life couldnt ask for a better scanner. Warehouse scanning of UPC, SCS, and Serial Numbers. Eliminate the human error. This was our first barcode scanner. We have started using it to receive our inventory, and for parts check out. It has alredy survived a 6' fall in our warehouse without a scratch, and works well, even when the barcode is filthy. This is one tough scanner. So much more than a retail / office type scanner. It's expensive, yes but nearly worth it especially if you work in a dusty environment.